"I've always tried to record live," Katie Moore tells Exclaim! on a stop home between gigs singing backup for Socalled at the Calgary Folk Music Festival. The Montreal-based singer-songwriter recorded the vocals along with the beds for her two previous solo albums, but her third record, Fooled by the Fun (out August 28 on Club Roll Records) feels more live: funkier, more spontaneous and more fun. Like 2011's Montebello, Fooled by the Fun was produced by Plants and Animals' Warren Spicer, who also plays on the album. But this time, inspired by demos she made at a cottage where she likes to go fishing in upstate New York, Moore and her band recorded half of Fooled by the Fun at her parents' 1876 wooden house in Hudson, QC, and the other half at Montreal's Mixart Studios; many of the songs were laid down after just a couple of takes, save for string parts, which were added later. "When I think of my albums, I remember what my experience was while I was recording and it really effects how I think of the album," says Moore. "So I try to have as good a time as possible. For the most part, the band don't know the songs until we go in together, so we kind of learn the songs and then record them — I find that the most fun." It isn't just a desire to keep things fresh and fun that keeps Moore's band recording on the fly. "I'm really scared to show people the songs," she admits, laughing, "so I put it off for as long as possible, until, 'Oh, we're recording today so I have no choice!'" 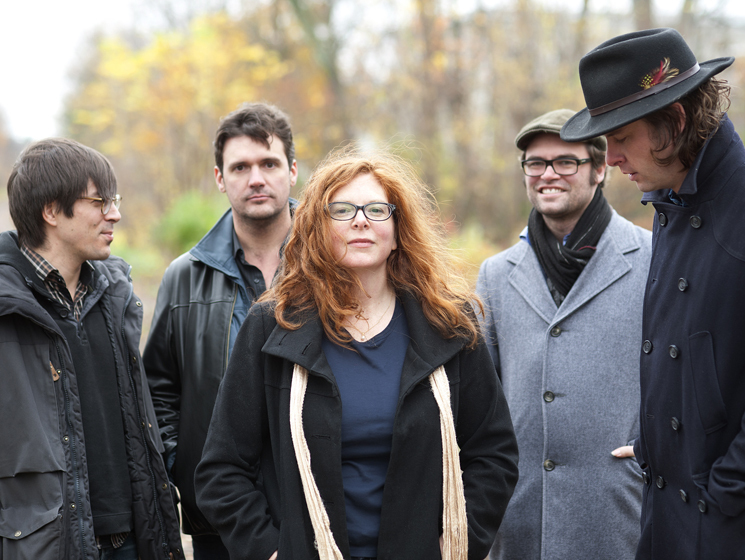 The approach speaks to how talented her band, which also includes guitarist Mike O'Brien (Sin and Swoon), drummer Dave Payant (Silver Mount Zion), Socalled on keys and Angela Desveaux on backup vocals, are. Fooled by the Fun is an apt title for the record, because Moore says that despite the upbeat, even danceable sound of some of the songs, and though her lyrics can be witty, her songwriting tends to begin as a form of therapy. "I try not to take myself too seriously, but when everything is funny and happy, it's not really when I would ever think about writing a song," she says. "But when it comes to putting it together with the band, they bring a levity and a fun-ness to what otherwise might just be too depressing a song." The title track, for example, is about hoping that someone eventually forgets they are trying to forget about you. "During the writing of this I had a friend who stopped being my friend," Moore says. "A friend breakup is maybe not worse than a romantic breakup, but it hurts a lot. If you think about how long it takes to make a best friend — it takes a lifetime. They are almost more precious than [romantic] relationships, but we don't really realize that at the time." The new record includes a cover of Francoise Hardy's beautiful 1970 tune "Tu ressembles à tous ceux qui ont eu du chagrin," sung as a duet with Ariane Moffatt, as well as a subtly addictive cover of Tracy Chapman's "Baby Can I Hold You." "I love Tracy Chapman," says Moore, laughing. "I think she was a big influence on me when I was 14. We did it in the studio just for fun between serious originals — not that this one's not serious, but I find that it lightens the mood if you just play a cover every now and then. Mike O'Brien's guitar playing on it is amazing. We did it in our first take. It had one of those magic feelings, like everyone was being tentative but also giving at the same time."